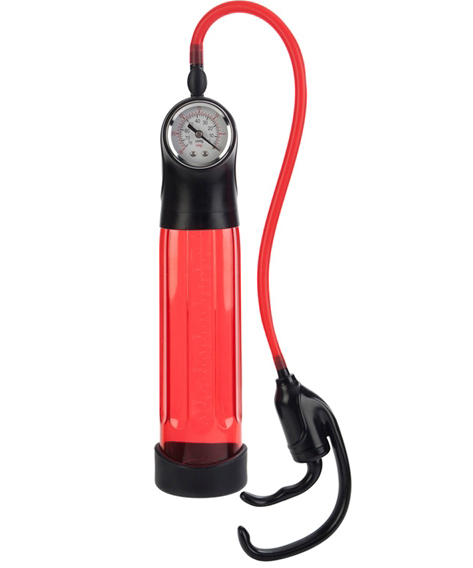 Advanced Master Gauge Pump featuring: Advanced hi-tech enhancement pump produces incredible suction for maximum results. Built-in PSI pressure gauge. Newly designed ergonomic handle for one handed action. Flexible non-crimping Silicone air hose, flanged base for use with or without included Silicone donut. Easy-to-use quick release purge valve.